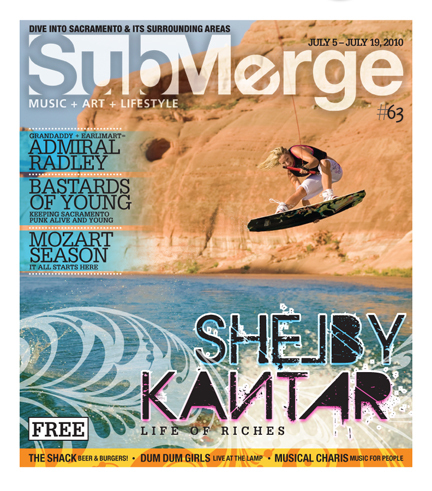 Twenty-four-year-old professional wakeboarder and West Sacramento native Shelby Kantar has led a bit of a double life the past few years. Arguably one of the top female riders out there, Kantar has traveled to compete in contests all around the world. She was the Pro Wakeboarding Tour women’s champion in 2007, she’s been in magazines and videos, she even jumped out of a helicopter into Lake Powell during last year’s Brostock event. Adventure, excitement, risk and reward: all part of the rock star lifestyle Kantar lives while with her fellow riders. Kantar brings up an interesting point. In the world of action sports, there are the “rich kid” sports and the “normal kid” sports. Think about it: to go skateboarding, you need a complete board setup from your local skate shop, which will probably run you around $100, give or take, and that’s about it. To go wakeboarding, you’ve got to have a boat, and those are a whole heck-of-a-lot more expensive. It seems impossible, then, for an up-and-coming wakeboarder to make a name for him or herself if their family isn’t well-off enough to buy the latest MasterCraft X-Star or Malibu Wakesetter, right? Wrong. Kantar is a perfect example. When she was 14, her parents bought a boat, but not a flashy, expensive wakeboarding boat that you’d see in magazines; they got a run-of-the mill family vacation-style boat and it was behind that that Kantar was introduced to wakeboarding. Kantar’s about to reap the benefits of some of her hard work when Body Glove drops their first ever wakeboard video titled Slick City, in which she is the only female rider. Slick City will be available for world-wide purchase starting July 7, 2010 through action sports media giant VAS Entertainment. 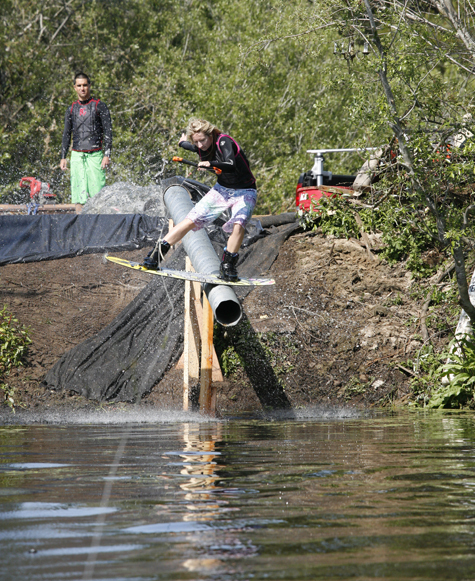 The DVD will be available for purchase at local wakeboarding shops and for download on iTunes shortly after. The video has already earned rave reviews from people at Wakeboarding and Alliance, the industry’s two largest publications, making Slick City one of the most highly anticipated wakeboard films of the year. 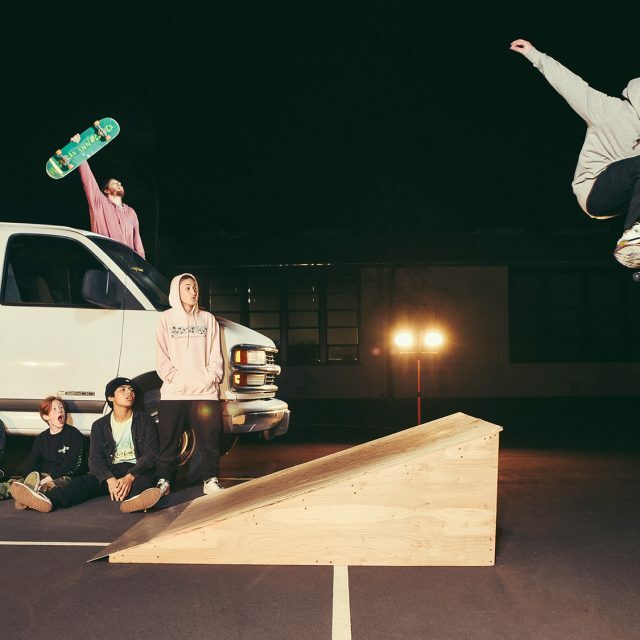 The film follows some of the biggest names in the sport: Rusty Malinoski, Harley Clifford, Bob Soven, Jeff McKee, James Balzer, Daniel Doud (Kantar’s boyfriend) and of course, Shelby Kantar. “I didn’t really get to film as much as I wanted to for that, especially my wake section,” she says, noting that since Body Glove is such a large, global company, coordinating the video shoots was hard. She did get a lot of footage sliding rails, though, an aspect of the sport that she is particularly good at and likes. “We built some rails and got quite a bit of rail footage. I really like riding rails, so I’m glad we got that, but as far as my wake riding, I wish I could have done a little bit more for that video.” Regardless, appearing in Slick City will surely introduce a whole lot of people to the style and charm of one of Sacramento’s best-kept secrets. Body Glove’s wakeboard film, Slick City, featuring local Shelby Kantar will be available July 7. 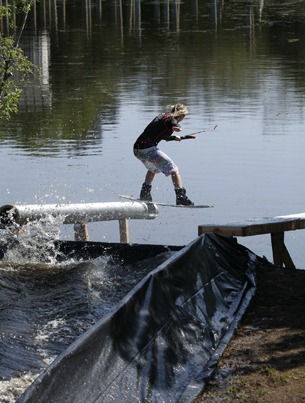 Kantar can also be found coaching lessons at the Delta Wakeboard Camp.